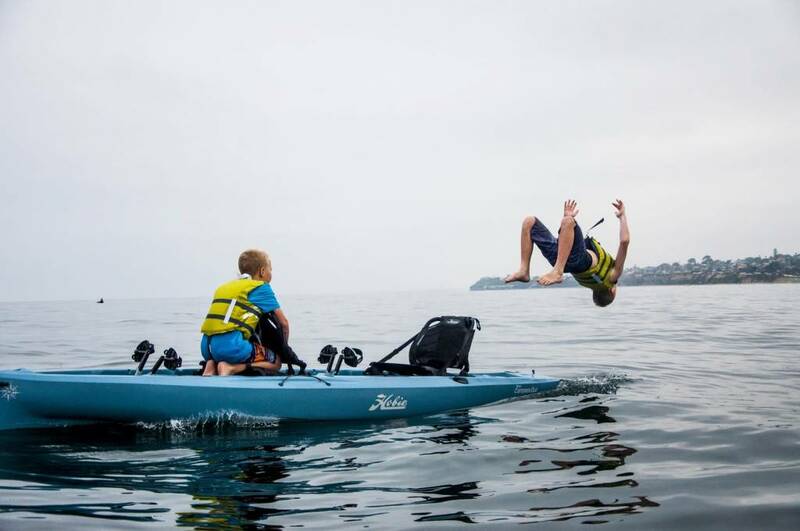 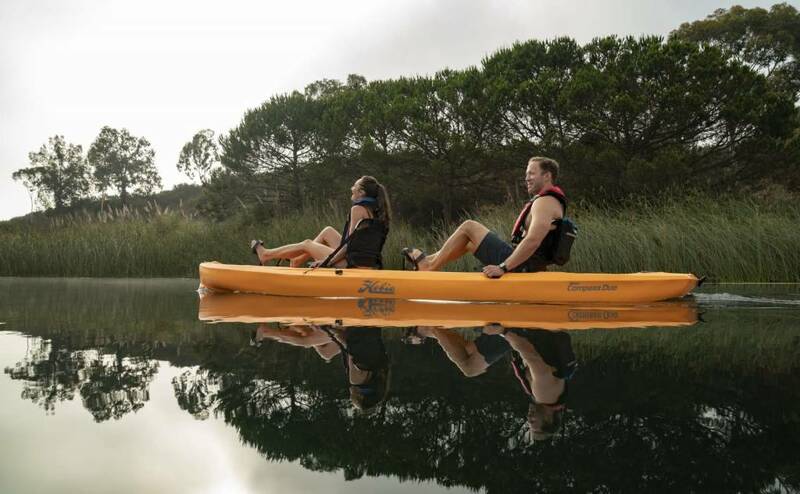 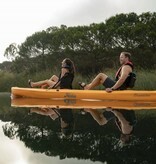 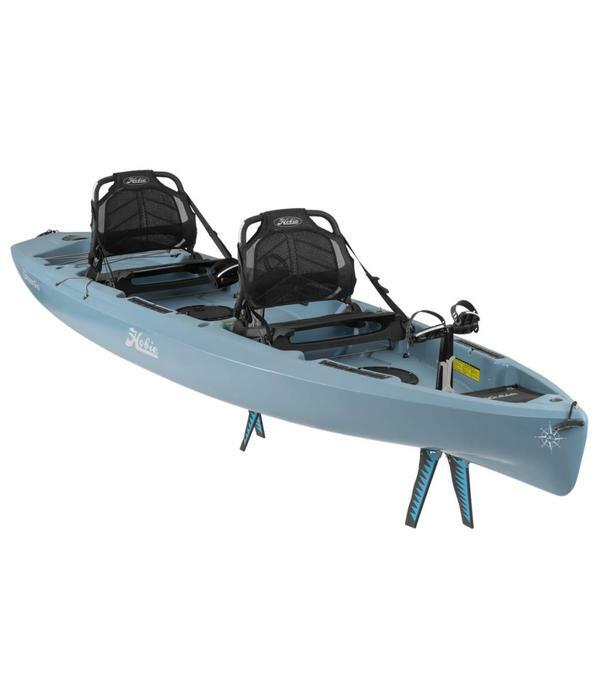 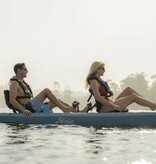 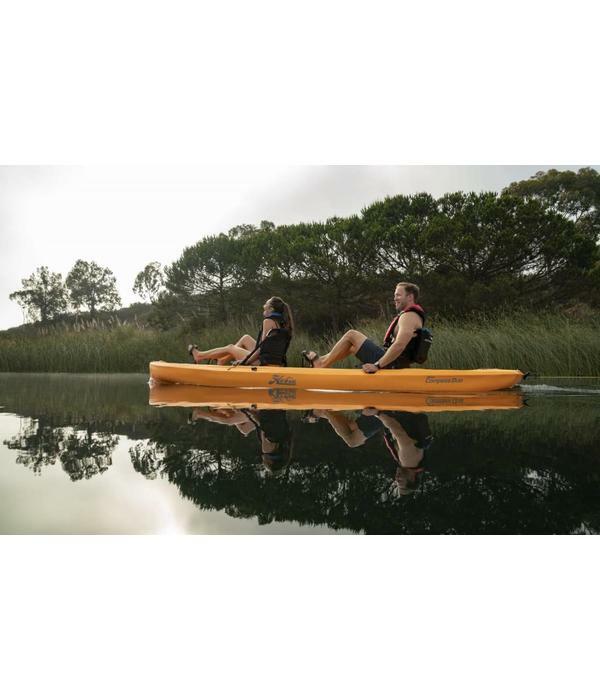 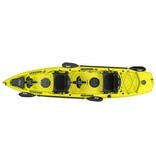 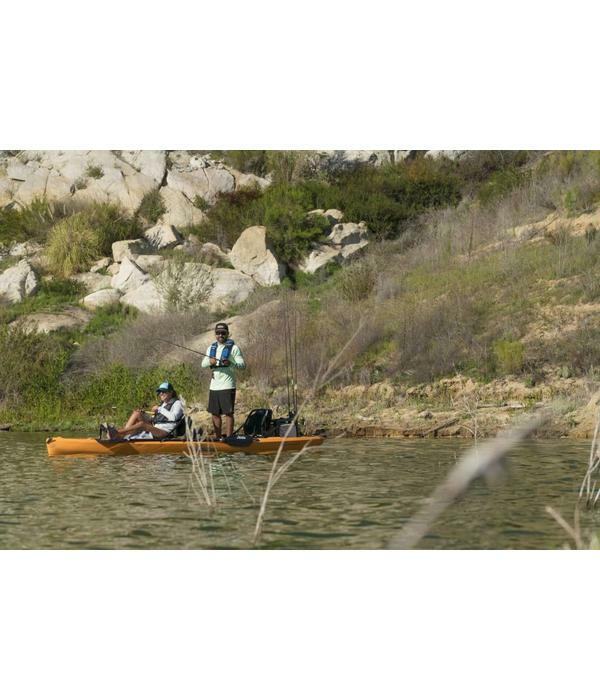 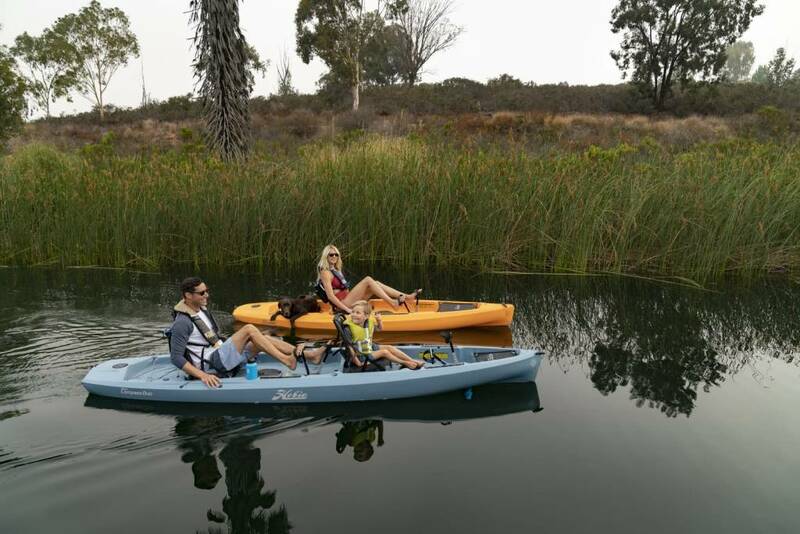 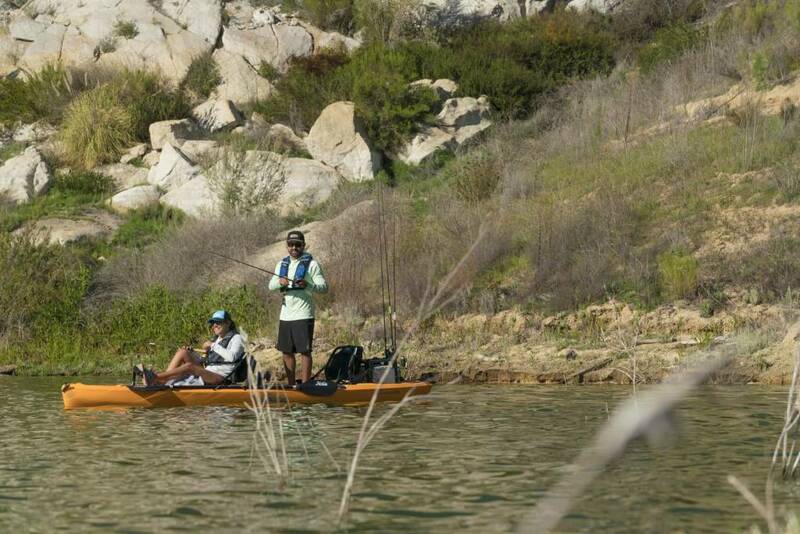 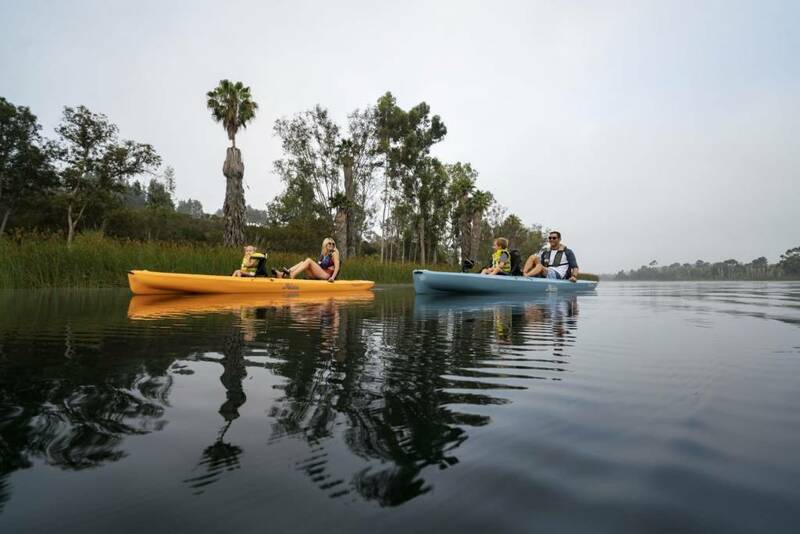 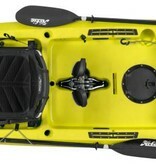 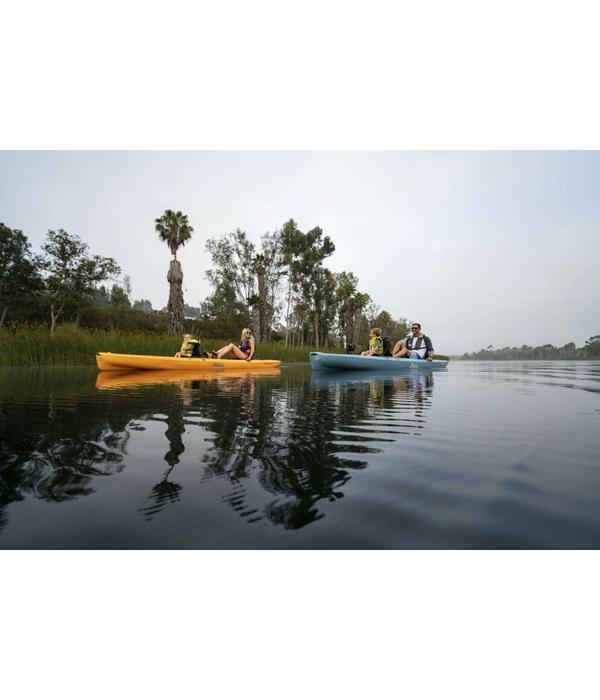 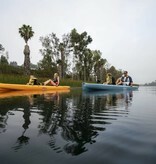 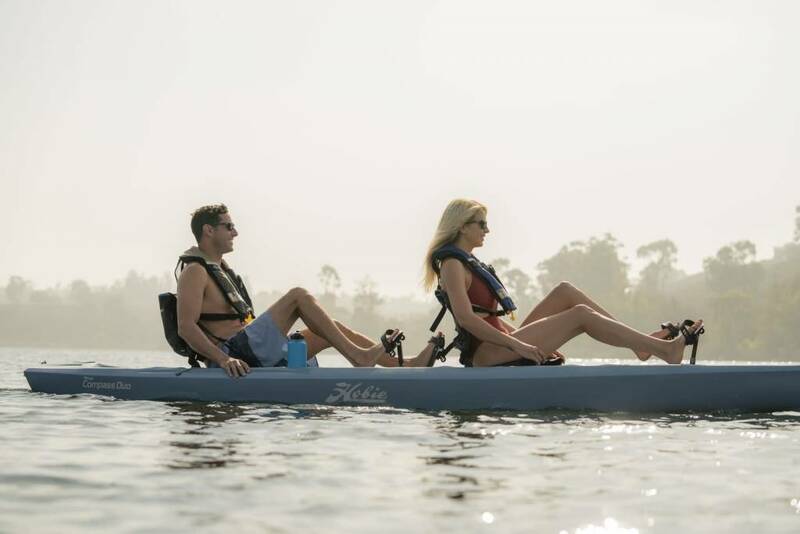 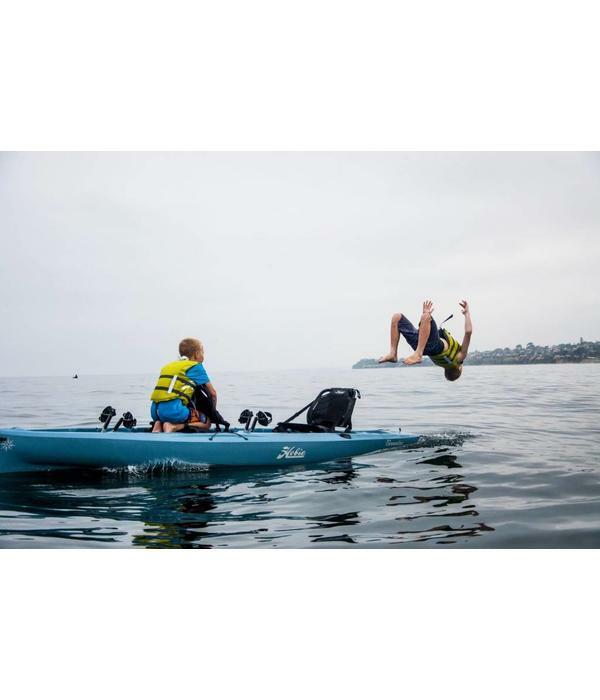 Searching for an elegantly simple yet highly customization tandem kayak for on-water adventures with family, friends, and pets? Look no further than the brand new Mirage Compass Duo, the latest addition to Hobie’s lineup of award-winning pedal kayaks. 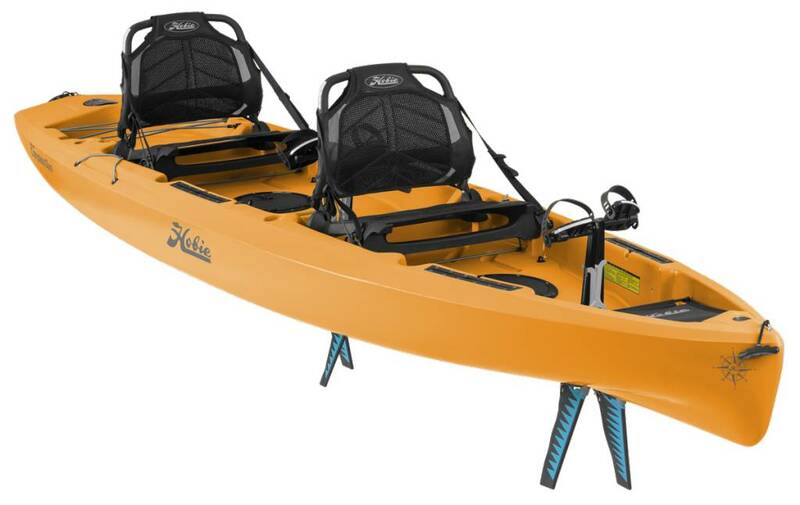 Hobie Mirage Compass Duo: Extending the Compass family is a natural, and our tandem Compass Duo is the perfect family boat: STABLE, fun, and surprisingly fast: SIMPLE WITHOUT COMPROMISE! 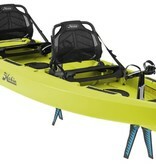 Replacing the Outfitter, and with a value price tag of $2,999, get ready for the return of the tandem. 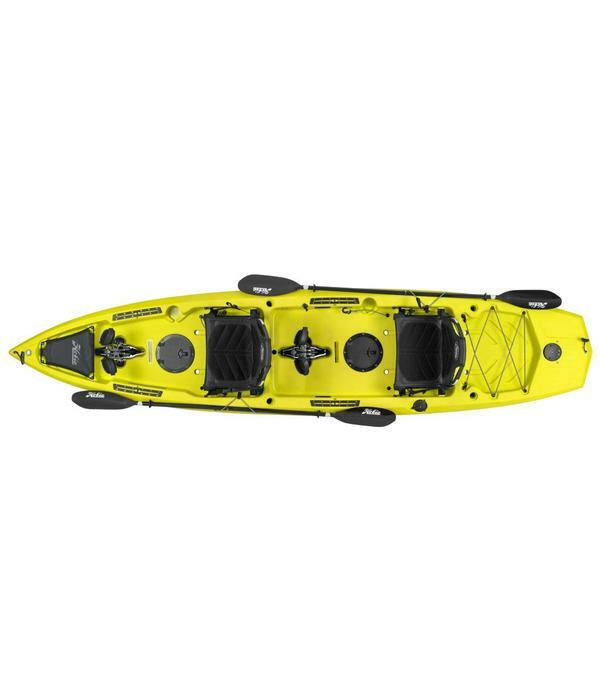 The 13’6” Hull is 35” Wide and fitted weight is 92 pounds and a 475 pound carrying capacity. 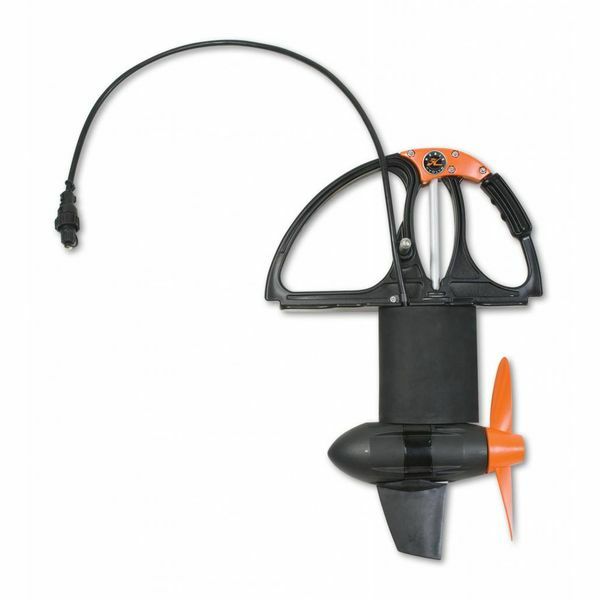 Compass Duo features include single-position steering in the aft seat position, two GT MirageDrives, an oversized kick-up rudder, Accessory Mount, 4 Integrated Tracks to conveniently accommodate more accessories, 4 molded-in rod holders, one paddle, and is footbrace-ready, with inserts in the hull to facilitate installation. 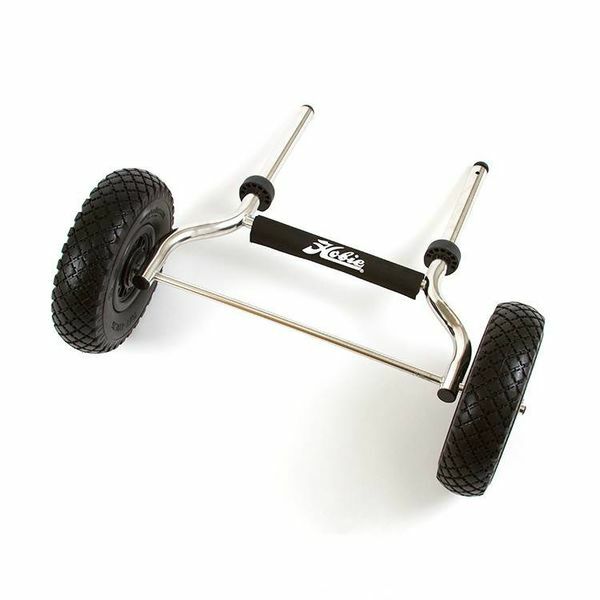 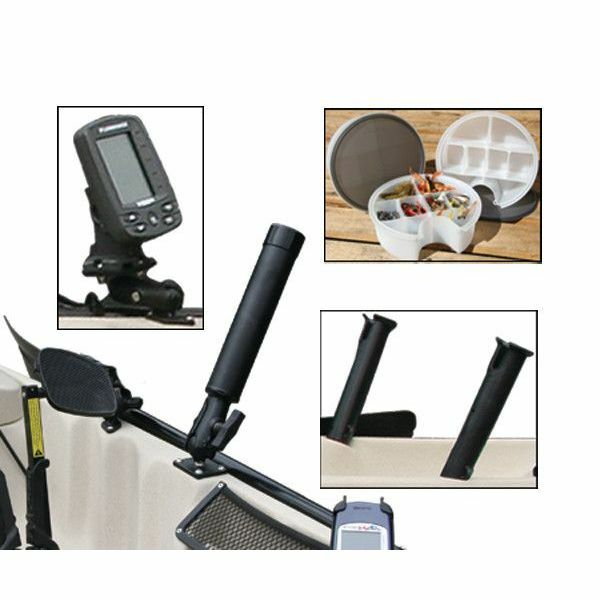 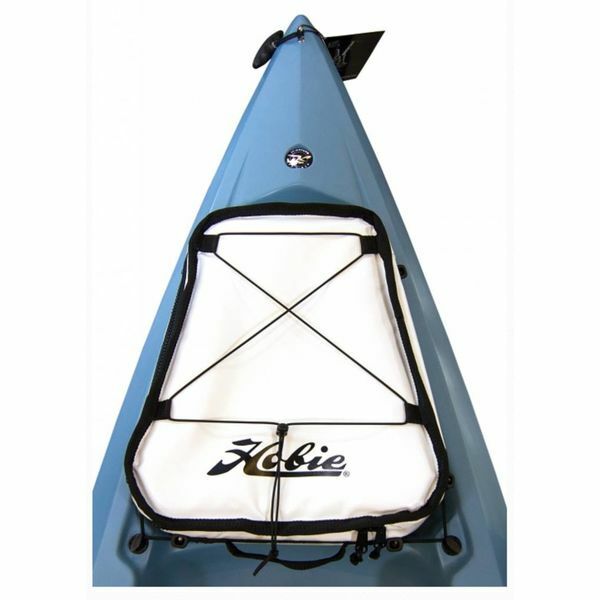 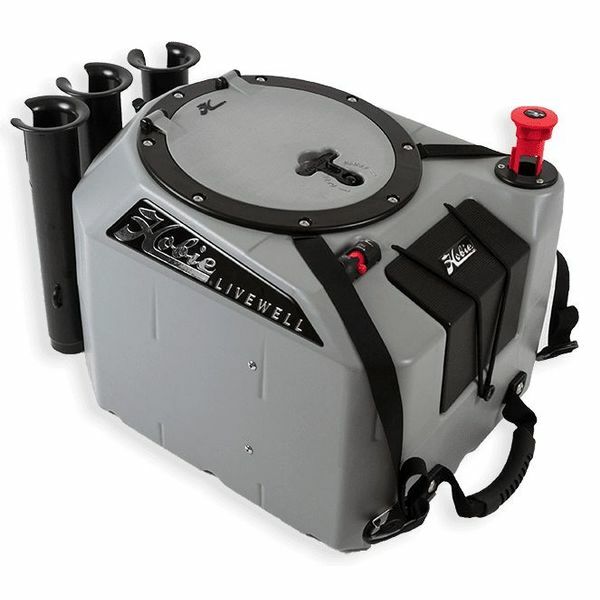 Storage Options include Mesh-covered Bow Storage; and the ability for the front seat position to accommodate a Livewell when used solo with the seat removed, enabling level weight distribution. 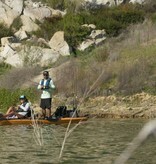 Colors: The Duo is available in Slate, Seagrass and Papaya Orange.